Experience the real Vietnam on a bespoke motorbike tour custom made for you with King Nguyen Travel Tours. We are a group of tour operators and guides who had 15th years of experience in organizing and guiding motorcycle tours to any corner of the country, in Central highlands and on the Ho Chi Minh trail, and Tour In North Vietnam. Traveling around Vietnam by motorbike, seeing breathtaking landscapes, beautiful mountain passes, interesting historical relics, colorful, friendly and happy people…makes us love our country more and we feel honored to share our culture and history with visitors to Vietnam. After many years riding motorbike tours with foreign tourists in Vietnam, we are different from the others to know where, how and what to make wonderful motorcycle trips for you. We organize all kinds of guided and dedicated motorbike tours in Vietnam. Choose one of our package tours or talk to us to customize your own trip. We are ready and happy to do the best to fully meet your needs so that you can have the adventure motorbike trip of your lifetime in Vietnam!!! The Easy Riders established in Vietnam for more than 22 years ago and then spread to Da Lat, Nha Trang, Hoi An, Da nang and Hue, the most popular places to jump on a motorcycle. The term Easy Rider actually comes from the US, as Peter Fonda and Dennis Hopper traveled throughout the USA on motorbikes in an American film. The Easy Rider is an experienced motorcycle tour guide; most speak English very well. You can ride pillion (on the back seat) with them or hire your own bike to ride. Additional motorcycles and riders can be hired for group tours so each person has their own motorcycle. Most of our guests start an Easy Rider tour from either Hue or Hoi An and visit mountain villages, view the DMZ area, drive over the Hai Van Pass, or via the Ho Chi Minh Trail. Observe beautiful and unspoiled natural landscapes such as mountains waterfalls and forests where many ethnic minorities live. Experience the culture, Vietnamese lifestyle, traditions and customs. It’s also possible to take an Easy Rider to Hue, Hoi An, Nha Trang or Dalat. The choice is yours, and the experience is something you will never forget. 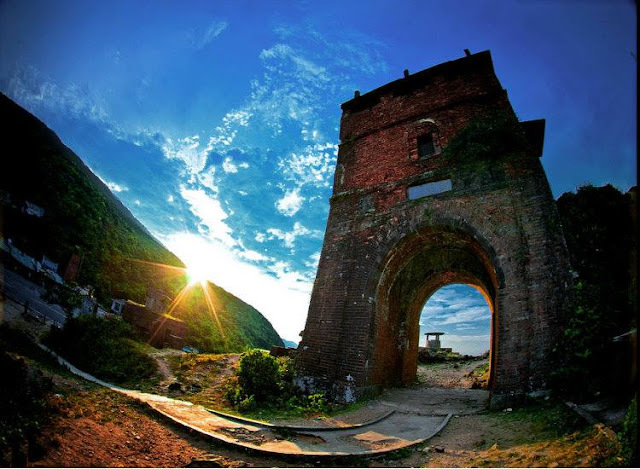 Go on an adventure and experience the Vietnamese daily life that few tourist get to see. We are proud of having very good guide team who have high riding skill, can work as a mechanics, know all the good riding route in mountains, are good at foreign language, have many years of experience and an in depth knowledge of Vietnamese history and culture and are simply good friends who love their jobs! Your safety and enjoyment are their top priorities. We only use reliable, quality motorcycles and scooters to avoid uncomfortable riders and potential break downs. You can choose an automatic or semi automatic scooter or one of our manual motorcycles (Suzuki Nakebike 150cc, Cruiser bike 150cc or Honda XR 150cc dirtbike). Every day, all the bikes get maintenance checked by our best mechanics. To save you from worrying about the bikes, we promise to provide another bike of the same type if your bike has any technical trouble on the tours. For your convenience, we also have one way rentals available to most major cities. Don’t worry about your luggage, we will take care of it and send it on to your final destination. We will do all we can to make sure that you have a great experience and try our best to be the top motorbike tour organizer in Vietnam. We guarantee that customers who book tours with us will get the most reasonable price with the best service possible. Saved like a butterfly in golden, Hoi An is one of only a handful couple of towns in Vietnam to have survived the nation's tumultuous history pretty much in place. With more than 800 recorded landmarks and structures, this striking yet likewise unusually unobtrusive little place looks like a film set from a former period and is brimming with the air and beauty of past days. If one somehow happened to pick the single place that best embodies the sentiment of Indochina, Hoi An eventual Vietnam's most grounded contender for the title.